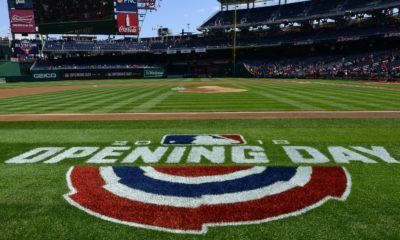 The 2018 Major League Baseball season will eclipse the halfway point by the end of this week. 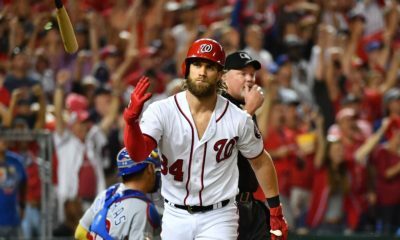 As the 89th MLB All Star Game fast approaches, fans are busy filling out their voting ballots to get their favorite stars a spot on the field in Washington D.C. While some positions have one or two players as the clear cream of the crop, there are others that offer more crowded pools of talent. No position is more loaded than that of shortstop in the American League. Only three players from each position (aside from pitchers) can represent their respective league in the Mid-Summer Classic. However, all ten of the following AL shortstops deserve recognition for their high level of play on the diamond this season. The Mariners as a team will continue to have plenty of doubters until they can carry their first half success through a full season to end the longest current playoff drought in major American sports. 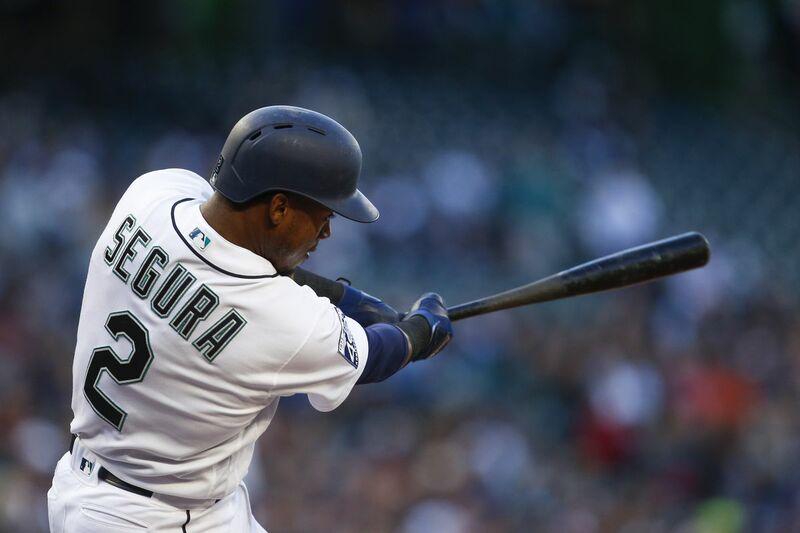 If Jean Segura still has doubters at the season’s halfway point, shame on them. His .338 batting average is second best in the entire American League, and leads this list of shortstops. He has piled up 104 total hits, 44 RBI’s, 56 runs scored, and has even stolen 14 bases. The Mariners lost their biggest star, Robinson Cano, to a drug suspension, but Segura has stepped in nicely to be that star player in Cano’s absence and the team has followed suit. He should definitely be on the AL All Star squad in D.C. The American League West has no shortage of talent. Behind Segura comes the Angels’ Andrelton Simmons. Primarily recognized early in his career for his defensive prowess, Simmons has turned things up a notch at the plate the past few years as well. He may not have the power of some of his peers at the position, but Simmons’ ability to get on base is a big part of what the Angels facilitate on offense. What’s more, in the year of the strikeout, Simmons doesn’t strikeout. He has only fanned 12 times, by far the fewest of a regular starter in all of baseball. He is also second at the position in the AL with a 3.5 WAR (wins above replacement). Unfortunately, with the Angels only a .500 ballclub, Simmons could be wrongfully on the outside of the All Star roster looking in for the second straight season. The clock may be ticking on his time as an Oriole, but Manny Machado’s game hasn’t missed a beat in the first half of 2018. A year ago, he wouldn’t have even qualified for this article, playing the third base position. In his first year at short, Machado is tied for the AL position lead with 19 home runs, and leads the position in RBI’s with 55. His .303 batting average reflects his continued ability to hit for average to complement his power. Machado is a lock to be on the All Star team, and he is also a lock to not be on the 23-win Orioles roster come the trade deadline. The latest rumblings indicate the Dodgers could be making a heavy push. As the AL position leader in WAR (4.7) and doubles (24), Francisco Lindor continues to shine, even as his Cleveland Indians have flown a bit under the radar through the front half of the year. Cleveland sits over 8 games clear of the second place Twins in what appears to be an awful AL Central division, but they are capable of much more in the second half. Expect Lindor to be at the core of it. 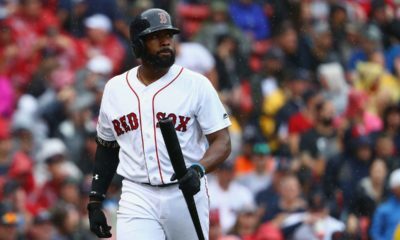 His .288 batting average, .539 slugging percentage, and .903 OPS all suggest he should be on the AL All Star team, but the field may just be too crowded for him this year. The Red Sox are a deep and talented team all over the baseball diamond, and Xander Bogaerts is no exception. His .508 slugging percentage puts hm along with only Machado and Lindor in the AL at the position to have greater than .500 in that statistical category. His 12 home runs and 44 RBI’s match well with his .278 batting average to display a complete arsenal of offensive tools. It appears Boston will be locked in a tight battle with the hated rival Yankees for the duration of the season. Bogaerts is likely on the outside looking in at the All Star game, but he will be right in the thick of a great division race. There isn’t a whole lot for Tigers fans to get excited about in the present, but Jose Iglesias continues to put on a show in the Motor City. He doesn’t possess the same power of, say, a Manny Machado, but he is hitting a solid .278 and creating havoc with his speed. He leads the position in the AL with 3 triples and also has successfully stolen 12 bases, good for third on the position list. His ability to get on base and stand out on a bad Detroit team will serve him well in the near future. Iglesias will be an unrestricted free agent at the end of the season and will be due for a nice payday whether he is still in a Tigers uniform or not. Playing shortstop for the defending World Series champs is never a small task. Correa is having a fine season, yet in some ways it feels like he has fallen off because of just how great he was last year. Nonetheless, the first place Astros won’t complain about his .268 batting average and 49 RBI’s (good for second in the AL at the position) as long as they are winning. Despite being tied for the position lead with 77 strikeouts, Correa’s WAR sits at a solid 2.8. On a loaded team like Houston, having wins directly attributed to one player is a true achievement. It will be interesting to see if Correa rides the wave of the World Series victory to an All Star roster spot over statistically more deserving players. Maybe no one but Didi Gregorius himself could have envisioned him filling the void left by the great Derek Jeter so wonderfully. Gregorius combines a sound .259 batting average and 9 stolen bases with 15 homers (third at the position in the AL) and a .475 slugging percentage. No, these numbers aren’t as flashy as other great shortstops in this article. But on a Yankees team that features stars up and down the lineup, it is perfectly acceptable production from Gregorius. He won’t make the All Star team, but, like just about any player in any sport, he would take a World Series ring over it any day. New York appears well on their way to being a serious contender for just that. The White Sox are headed nowhere in terms of contention once again in 2018, but they have a young core that could be lethal in a few years provided they continue to develop. Tim Anderson is already showing signs of a star in the making. He leads all AL shortstops with 15 stolen bases, has recorded 68 hits, maintained a .247 batting average, and has a 1.7 WAR on a team with only 28 wins thus far. He isn’t in position to make the All Star roster yet, but give it time. By then, he, Jose Abreu, Yoan Moncada, and the other young guns could have the White Sox contending once again. The Athletics are one of the biggest surprises of the MLB season so far. Sitting in third in a crowded AL West picture and five games over .500 is remarkable considering their lack of household name talent. Marcus Semien is a big reason for Oakland’s team success. While having the most plate appearances of any shortstop in the AL, Semien has quietly racked up a .245 batting average, 80 hits, and 30 RBI’s, all culminating in a WAR of 1.6. He is far from the best at the position, but the A’s could be faring much worse. For a small market team without the cash to spend on big name free agents, Semien is just the kind of serviceable player they need to have the chance to contend for a Wild Card.